What is the F1 Model 812 system? The Bose F1 Model 812 flexible array loudspeaker is the first powered loudspeaker that delivers the benefits of an adjustable array in a portable system package. Its unique flexible baffle allows you to tailor the loudspeaker’s vertical coverage to a wide variety of listening environments. Simply push or pull the array into position to create “Straight,” “C,” “J” or “Reverse J” coverage patterns. Once set, the system automatically updates the EQ to maintain optimum tonal balance for each coverage pattern. So whether you’re playing at floor level, on a stage, or facing raked seats or bleachers, you can adapt your PA to the room. Engineered with an array of eight high-output drivers, a high-powered 12-inch woofer and a lower crossover point, the loudspeaker delivers full-range, high-SPL performance while maintaining vocal and midrange clarity that’s dramatically better than conventional loudspeakers. The Bose F1 subwoofer packs all the power of a larger bass box into a more compact design that’s easier to carry and fits in a car. A mounting stand for the loudspeaker is stored right in the body of the subwoofer, making setup fast and easy. The stand even includes cable channels to neatly hide wires. The loudspeaker and subwoofer combined deliver 2,000 watts of power, so you can fill nearly any room with sound. And now getting there is easier, too. The loudspeaker and subwoofer feature strategically-placed handles for easy transportation. Yes. Bose L1® systems can be used in conjunction with the F1 Model 812 loudspeaker as a supplemental fill or stage monitor. Can it be used with the T1 ToneMatch&#9415 audio engine? What are the weights and dimensions of the F1 Model 812 system? The system has been tested to operate in temperatures from 0° – 50° C (32° – 122° F), and be stored in temperatures from -30° – 70° C (-22° – 158° F). The F1 Model 812 loudspeaker and F1 subwoofer combination is suitable for bands of all musical styles, DJs and voice-only applications. Due to the versatility of the flexible array, the system also can be used in a wide range of locations. Yes. The F1 Model 812 loudspeaker and F1 sub are ideal for DJs that want high power and sonic clarity in a portable system. 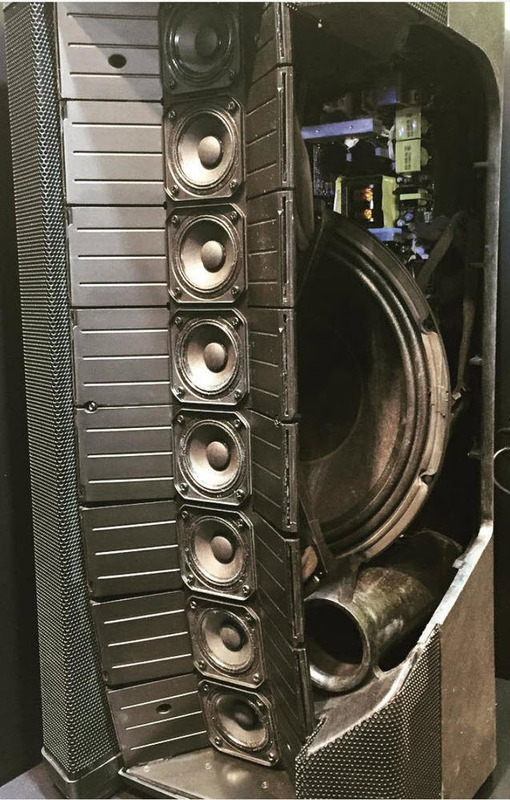 The F1 subwoofer’s compact design and high capability eliminate the need for transporting subwoofers twice their size. Plus, the integrated stand eliminates ugly tripod bases that expose hanging wires and create tripping hazards. Call our Sales Solutions Team at 800-444-2673. Visit select Bose Stores that carry the F1 system. This page was last edited on 17 April 2015, at 15:23.